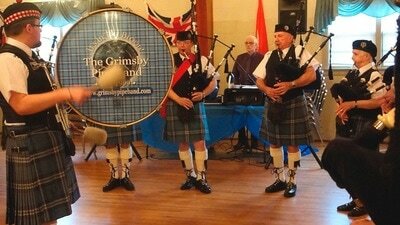 The Grimsby Pipe Band is an actively participating pipes and drums band based in Grimsby, Ontario, Canada. We currently operate from John Knox Christian School, 795 Hwy #8, Stoney Creek, ON, L8E 5J3. 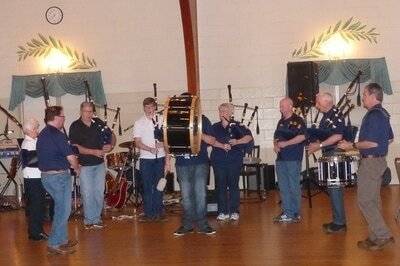 We practice on Saturday mornings and Tuesday Evenings. 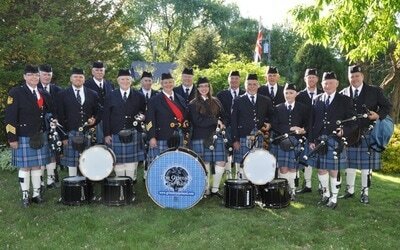 The Grimsby Pipe Band proudly wears the Earl of St. Andrew’s Tartan along with St. Andrew’s Crest on our glengarries. Celtic Evening - Important Road Closure information and detour directions - Please refer to the Events Page or the Word file attached below.